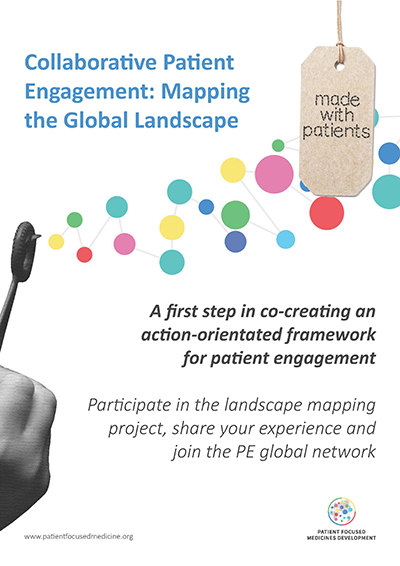 Despite the substantial increase in patient engagement (PE) initiatives, there is currently no efficient mechanism for accessing information on what PE activities are ongoing or planned and to identify challenges encountered and lessons learned. An essential first step in developing a meta-framework is to identify and "map" existing initiatives and frameworks, allowing a 360-stakeholder view of the PE landscape. This will provide a platform for identifying gaps and synergies from different stakeholder perspectives and allow those committed to effective PE to learn from good practice by actively sharing experience and to connect.